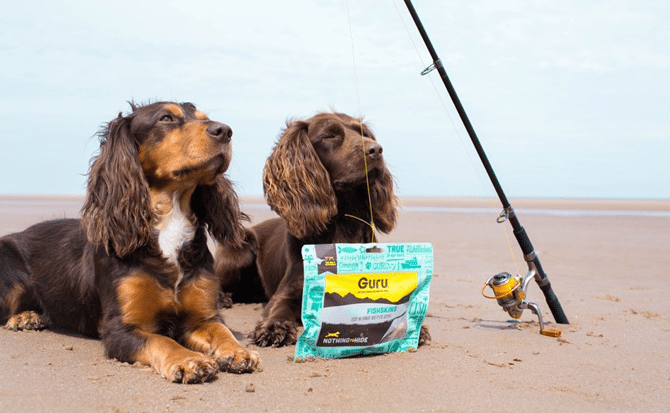 Coming from a keen fishing family Hunter and Maple do love a fresh fishy treat when they can get their paws on them, but having these new naturally air-dried fish skins are a great way of keeping the fishy treats for longer and they have a great crunch! 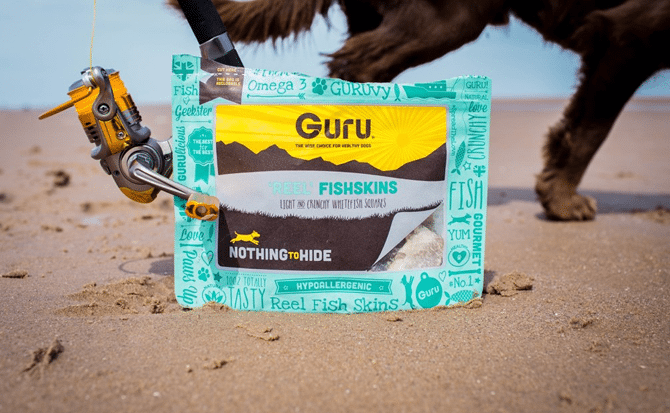 The fish skins, like all the other products from Guru have ‘NOTHING TO HIDE’. 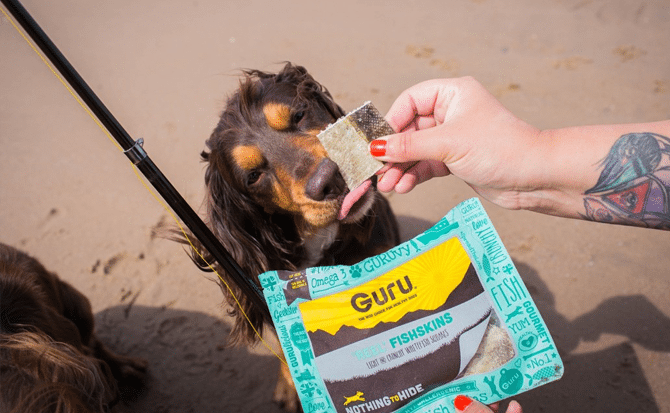 They are packed with Omega 3 in each fishy square, which can aid brain development, help maintain a healthy heart and joints. They also keep your dog’s coat in optimum condition and we all know Hunter loves his coat looking shiny. They are hypoallergenic, no grain, no gluten, no soya & a natural dental aid. Hunter & Maple loved there first few bites and Maple snook into the packet to grab another! These are going to be a new firm favourite for them both. 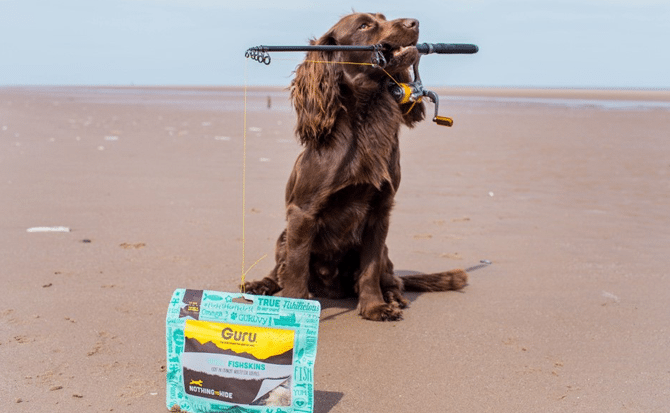 With a great new colour adding to their packet range it was definitely an eye catcher over on the guru stand at DogFest this month…. 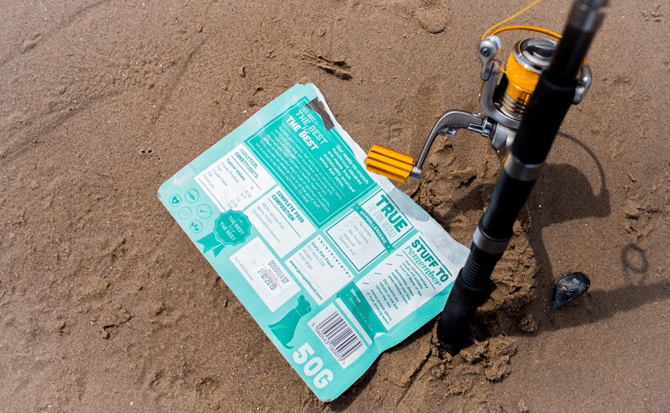 be sure to catch yourself a packet or two, yum!